Problem Description The fungus attacks all the aerial parts. The fungus attacks all the aerial parts. Seed borne infection produces dark brown, eye shaped lesions on hypocotyls which may enlarge and break the stem. Crescent shaped, brown spots appear on the under surface of the leaves involving midrib and veins. 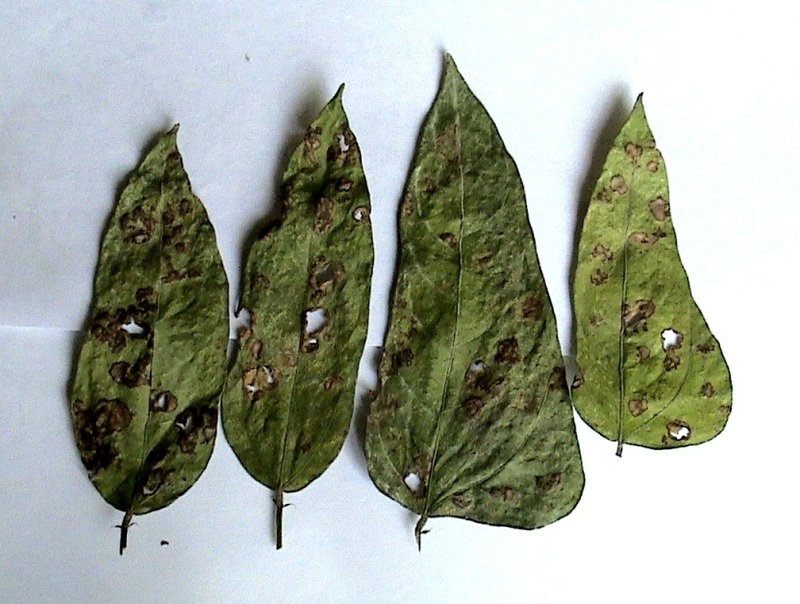 In severe cases, the lesions may coalesce resulting in the burnt appearance of plants. 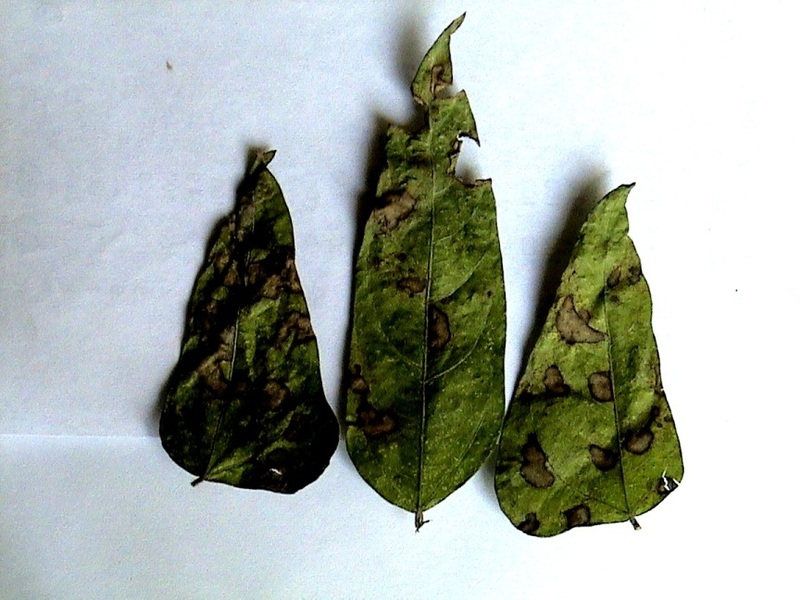 Water soaked spots with bright red, yellow or orange margins and dark centre appear on pods which enlarge under favourable environmental conditions and turn brown. Sporulations of the fungus are seen as pink viscous mass in the centre of the spots.